At the British Museum, as with most museums, patrons are asked not to touch the museum’s collection. Delicate and fragile items are encased in glass, while larger more rugged pieces are kept under the ever watchful eyes of the museum’s art police. When we were at the British Museum I saw one of these guards scold a man for touching an ancient Egyptian sculpture, meanwhile hundreds of school kids were bouncing around the same gallery and were frequently pawing the same art. I never touch the art. What never? Well, hardly ever. Caught red-handed, I am pictured below touching a statue of Sophocles. Now, in my defense, the one that I am seen touching was in the gift shop and not the pictured original, but what about the Rosetta stone? The real Rosetta stone is on display in the museum’s antiquities wing and is encased in thick protective glass. It was also surrounded by a horde of tourists. All of this made it very difficult to photograph. Meanwhile, on the opposite side of the museum in the Enlightenment wing there is a copy of the Rosetta stone. This duplicate is only a couple of hundred years old and is not protected at all. I knew of its existence and had been looking for it. A middle-age British couple were viewing it, when I walked right up on its side and press my left palm on to the center of its exposed surface. This evoked an audible gasp from the woman and their eyes both shot daggers at me. At least until I pointed out the sign on the stone’s pedestal that said, “Please touch.” This seemed to mollify the couple and they even went so far as to daintily touch the stone with their fingertips. If you look closely at this duplicate, you can see that most people touch it just to the left or right of center. 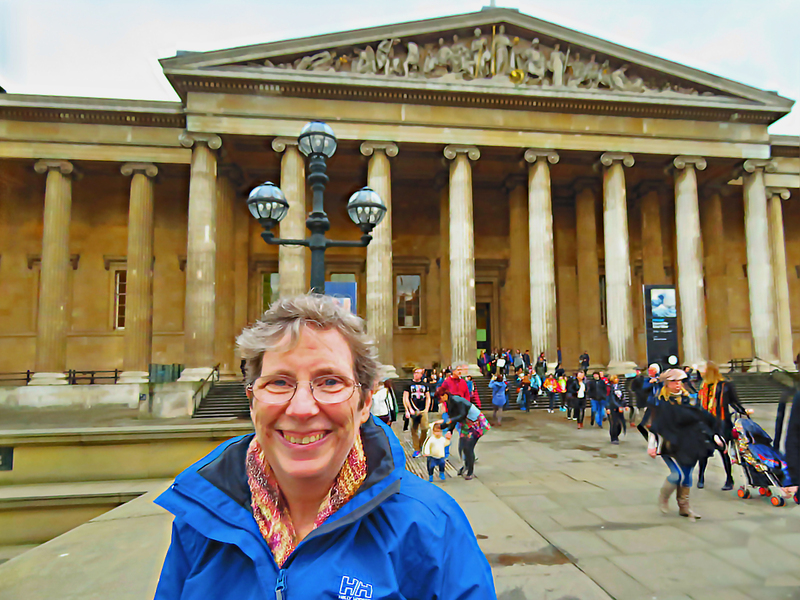 This entry was posted in Art, Humor, Life, Photo, Photography, Travel and tagged British Museum, London by RegenAxe. Bookmark the permalink.